Brianna saw this yesterday and took a picture. 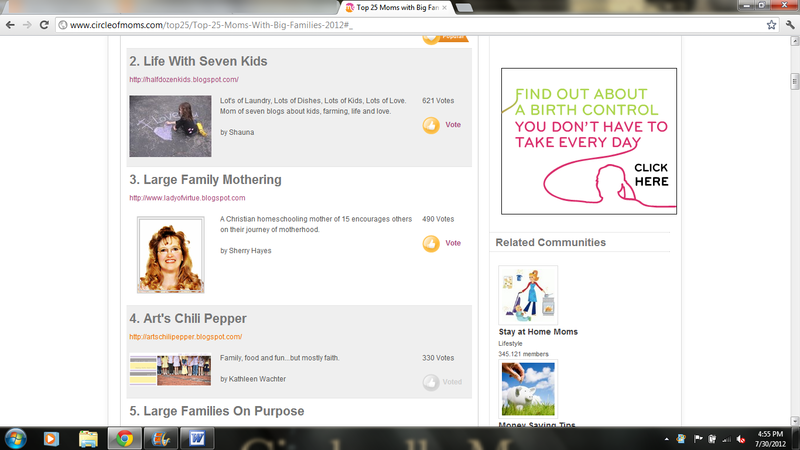 Does anyone not think it is utterly hilarious that they should choose to advertise birth control on the same page as a competition for the top LARGE FAMILY BLOGS? 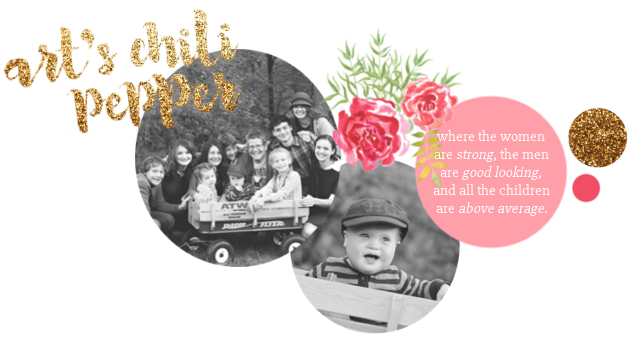 Don't forget to cast your vote today, tomorrow and every day for Art's Chili Pepper. As one friend said this morning in a text it is a tight fight for fourth but with your vote we can hold our ground. 3. Have you ever seen those beer commercials? It will make you way cooler than that. 4. It will make someone smile. Probably Chili. 5. You will sleep with a clear conscience. 6. It is completely free! 7. You get bragging and complaining rights for another year. 8. Just think of those eight adorable faces looking at your with puppy dog eyes. 9. You will burn a few extra calories moving your mouse around. That has to burn enough calories for a frappuccino this afternoon. 10. You will be doing your part to promote a work that we hope is doing some small part to spread the Word and encourage others as they journey through this life. We have not been able to vote here at headquarters so we are really counting on you to jump in for Wachter World and push that magic button.